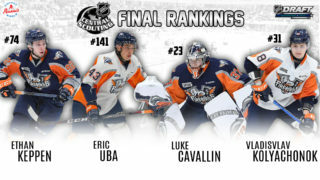 BRECLAV, Czech Republic – Firebirds’ Ty Dellandrea is one of seven OHL players that claimed gold at the Ivan Hlinka Memorial Cup with a 4-1 win over the Czech Republic on Saturday. The win was the ninth in 10 years for Canada’s National Men’s Summer Under-18 Team. In April, Dellandrea was one of just three under-aged players to be selected for Canada’s Men’s U-18 National Team for the 2017 IIHF U18 World Championship in Poprad and Spisska Nova Ves, Slovakia. 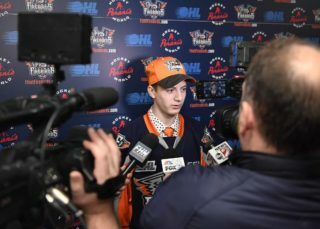 He was then one of 22 players tabbed to represent Canada at the 2017 Ivan Hlinka Memorial Cup on Aug. 1. 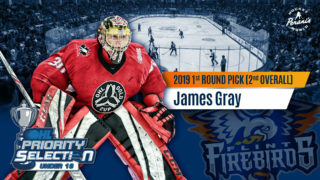 After being selected in the first-round, fifth overall by the Flint Firebirds in the 2016 OHL Priority Selection, Dellandrea set Firebirds’ records for most goals by a rookie (13) and points by a rookie (24) throughout the 2016-17 season. Today in Breclav, Captain Joe Veleno (Saint John Sea Dogs), the first player to represent Canada twice at the tournament, scored the game-winner early in the second period, while Noah Dobson (Acadie-Bathurst Titan) and Akil Thomas (Niagara IceDogs) helped pace the offense with two assists each.